2017 sees a move towards big and bold in wall art in the home. 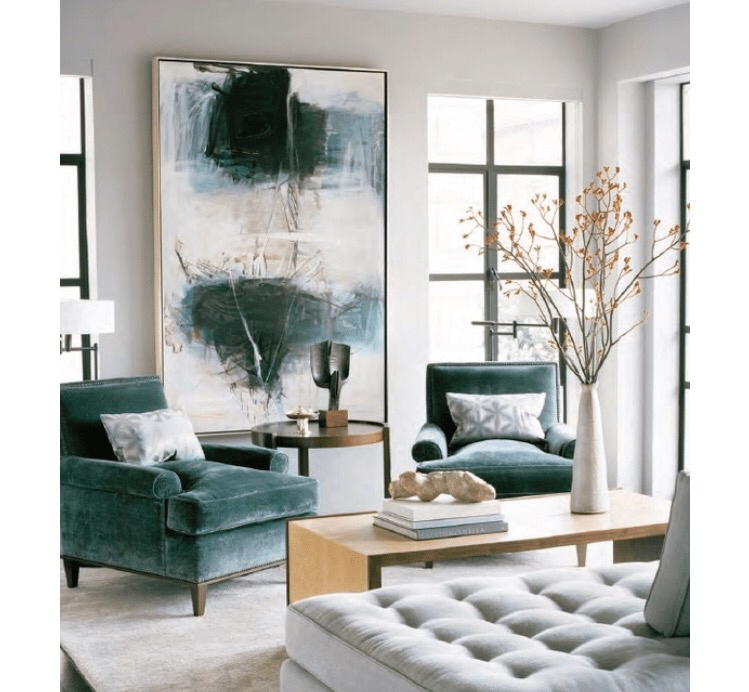 To create an impact and a statement in a room, abstract art has a powerful wow-factor and can bring colours together from a scheme, introduce pattern and be a visual talking point. Abstract art can also translate into soft furnishings and fabrics; for curtains, cushions and bedding. It is a good way to bring bold pattern into design and be the starting point for the styling and use of colour in a room. Work of famous and amateur artists is often translated into fabric design. Head to ZaidaUk or Zazzle for Abstract art on cushions or visit museum shops for great examples. 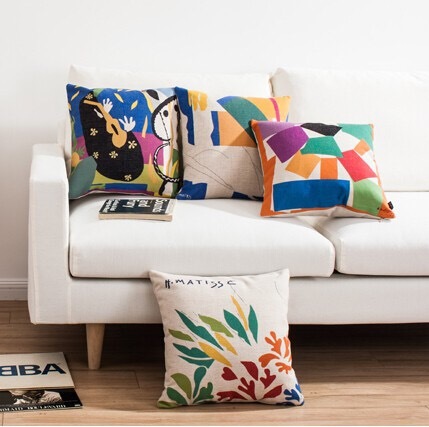 We love these Henri Matisse cushions from HomeLava (below) at just £10. 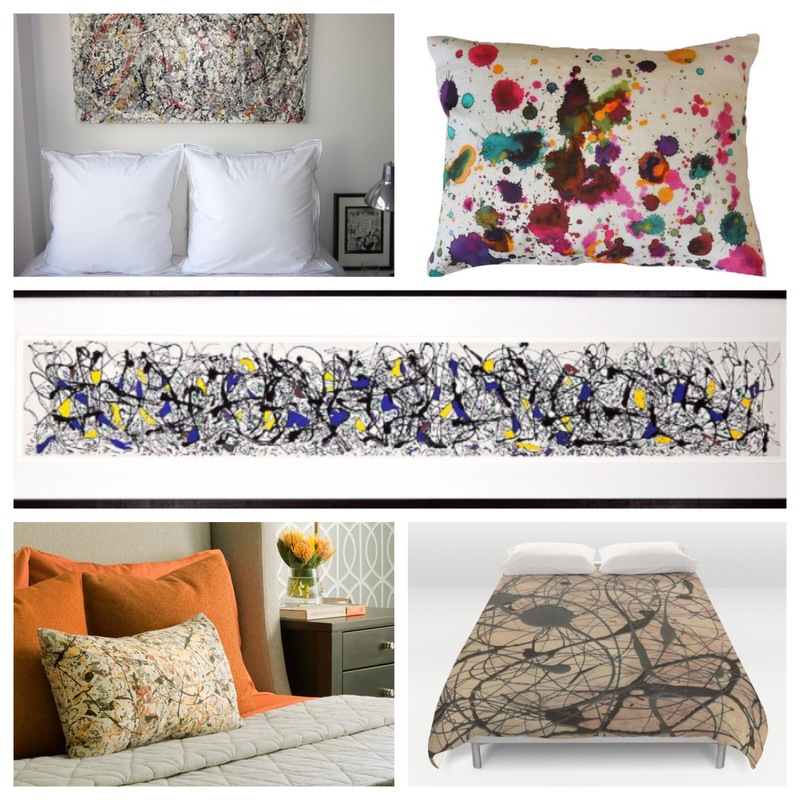 One of the most renowned abstract artists was Jackson Pollock and his work is famously shown world wide in galleries as well as designed into many homeware pieces both from the original works as well as inspired designs from his work. Paul Jackson Pollock (January 28, 1912 – August 11, 1956), known professionally as Jackson Pollock, was an American painter and a major figure in the abstract expressionist movement. He was well known for his unique style of drip painting. If you want a quick storage solution than this as simple as it gets. Using Ikea bed slats and some S hooks you can create a stylish wall hanging which can be used in any room to hold and store objects, stationary, accessories, kitchen utensils and more. Use the slats to hang amongst other things pots, baskets and clips to bring interest and add practicality to a space. Bring together some of the best cities in the world with this absolute bargain from the HM sale. This aluminium gold tone finish trivet would be a great centre piece on any table but would also make a great piece to hang on the wall too. Shop the homeware sale now at HM for bed linen, kitchenware, soft furnishings and more. Moroccan, Bohemian and Atzec pattern in design is still big in homeware, bringing a layed back and relaxed feeling to a room. We have found this flat – woven arrow print rug which we love, and will bring interest and appeal to a living room or bedroom floor. 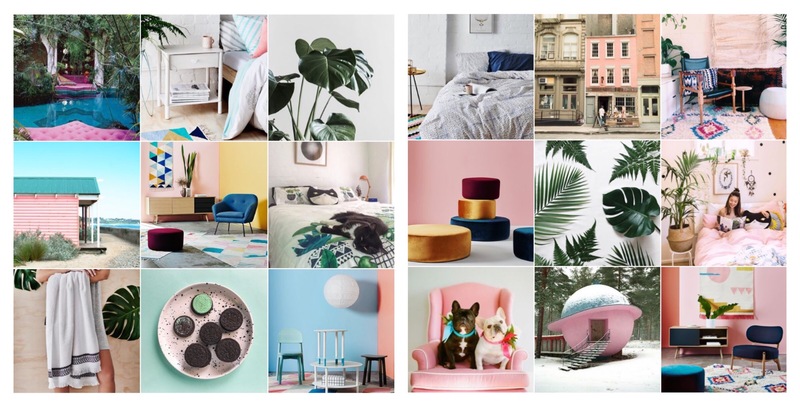 Gorgeous Australian homeware and lifestyle brand Arro Home, available in the U.K. is a perfect range of simple, fun prints and colourful creative design for home. The brand offers soft furnishings, furniture, ceramics, glassware, rugs and more and even has great goods for kids. Follow them on all social media for latest products, offers, lifestyle ideas and interiors inspiration. The shop site is full of lovely silhouettes, geometric patterns, pastel hues and modern designs. Everything comes together beautifully to create great entire looks for a room. Our favourites including gorgeous colours in kilim rugs and modern angular plant stands. One event not to be missed in April is the MADE IN LONDON launch party at Heals. Their modern craft market showcases the city’s craft community woth drop-in workshops and demonstrations. With exhibits including 19th century loom weaving, soap cutting workshop, pottery painting, chair caning, furniture upholstery as well as a chance to meet with the makers there is lots to see and do and the best thing it’s free. Continuing our love of all things midcentury, we found this incredible retro style lounge chair from Rose & Grey. With its gorgeous retro silhouette, wooden frame and ribbed black leather seat, this chair ticks all boxes in style and comfort. Splash out on this chair and know you’ve invested in a quality piece of furniture.